Tomorrow, close to 1,500 logistics-industry and Georgia business professionals will come together for the 2017 Georgia Logistics Summit in Atlanta to discuss industry best practices, the latest logistics technology innovations, and ways to make their logistics business more efficient and effective. Every year, the Summit brings prominent speakers from accomplished shippers in the industry, as well as leaders in Georgia’s infrastructure and economic development community. Georgia Governor Nathan Deal will provide remarks during the opening General Session. As Governor of Georgia since 2011, Deal has been a big part of the state’s recent success in the Georgia business arena. 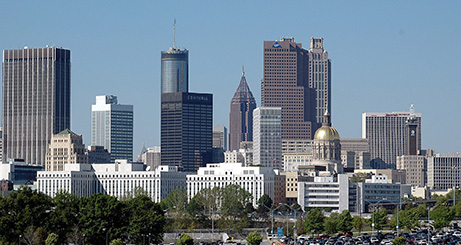 Under Deal’s leadership, Georgia has ranked as the number one state for business by Site Selection magazine for four years in a row now. Some contributors to the recent success include tax reform, workforce development initiatives like Quick Start and investment in education. Thanks to these programs, Georgia business has seen major growth in small businesses and an attraction from top companies around the world. Infrastructure: There are two interstate highways in Georgia (I-75 and I-95) that connect it to both the southern and northern reaches of the U.S. Four more interstate highways (I-16, I-20, I-59, and I-85) provide Georgia with a direct route to 15 states. Trucks hauling freight from Georgia on those highways reach 80 percent of the U.S. population within two days. Thanks to a $14 billion investment in maintenance and improvement across the state, this system will only be getting better. The Ports Authority: As evidenced from recent posts, the Port of Savannah is the nation’s fastest-growing deepwater container port. Last week, Governor Deal, port officials and the maritime community were on hand to welcome the COSCO Development, the largest containership to ever call on the U.S. East Coast as it handled 5,500 containers, a record for Georgia’s ports. This event further highlights the importance of the Port of Savannah with regards to East Coast container trade. 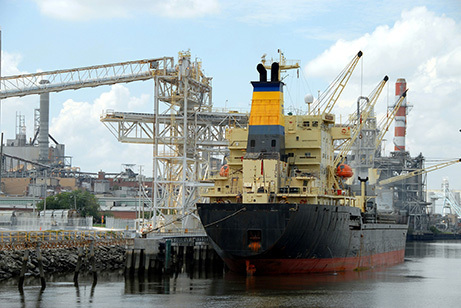 Moving forward, the Port will soon be capable of welcoming more inbound vessels like the Development thanks to the Savannah Harbor Expansion Project (SHEP). At present, dredging for the outer harbor to 49 feet at mean low water, which constitutes about half of the shipping channel, is 60 percent complete. The inner harbor project will provide 47 feet of deepwater draft when it is finished. The changes to the harbor will complement the new, expanded Panama Canal by reducing the expense of delivering goods to customers at home and abroad. Access by Air: Perhaps the most recognized piece in Georgia’s transportation puzzle is Atlanta’s Hartsfield-Jackson International Airport (ATL). This global gateway is the busiest and most efficient airport in the world, offering nonstop service to 60+ international locations and is within a two-hour flight of 80 percent of the nation’s population. For Georgia businesses that rely on air transport of cargo, for time-sensitive/high-value products, this is exceptionally good news. Looking ahead, a capital improvement plan, ATLNext, has plans to further expand on cargo operations and solidify ATL’s position as a symbol of economic strength in the state of Georgia. When it comes to doing business, Georgia is an absolute peach of a state. We are extremely grateful to the leaders in our state government that continue to invest in our infrastructure. We are also thankful for those hard working, customer-focused logistics professionals that help move products efficiently throughout the state. Georgia makes it easy for firms to grow while keeping costs low and that’s why if you ask us where the best place to start your business might be, our answer is simple – Georgia is Always on our Mind.